India's Largest Landline Service provider Bharat Sanchar Nigam Limited (BSNL) has decided to launch Smart Card Payphone (Smart PCO) Services in Kerala, Karnataka and Andha Pradesh (including Telangana) telecom circles. The PSU is already offering Smart PCO services in Tamil Nadu Circle (including Chennai). BSNL has made agreements with M/s Navitel Corporation Private Limited (NCPL) for providing Smart Card based payphone services to public. BSNL has currently installed these Payphones in public places like Airports, Bus stations, Hospitals, Schools, Colleges and Hostels and other major locations in Chennai & Tamil Nadu. Now based on the response from customers, BSNL authorities has decided to extend the services to other south zone circles like - Kerala, Karnataka and Andhra Pradesh. Currently over 300 million people in India use public phones and this smart payphone is aimed at servicing this segment with modern day technology. How to Use BSNL Smart Card Payphone (Smart PCO) Service? 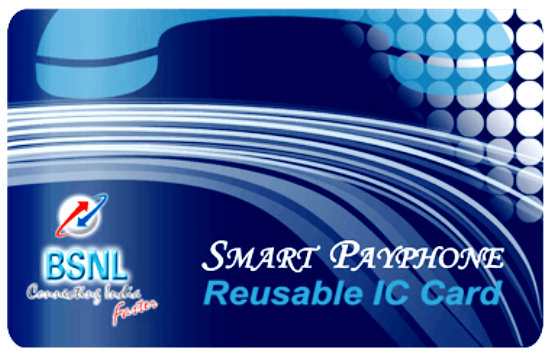 BSNL Smart Card Payphone service (Smart PCO) is offered through chip integrated reusable smart cards which come with lifetime validity. The smart cards need to be inserted into the payphone before dialing the desired number and the call charges will be deducted from the balance in the smart card. The same card can be recharged through coupons which can be purchased at retail outlets and through BSNL Customer Service Centres. 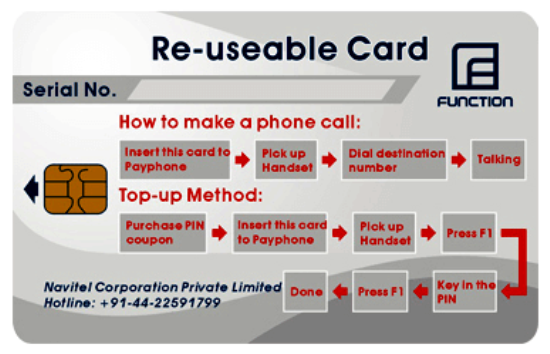 How to Recharge BSNL Payphone Smart Card ? The recharge process is very simple and easy. The subscriber scratches the recharge coupon and gets the secret pin code. The user then inserts his/her smart card into the payphone and presses F1 key and dials the secret pin followed by F1 again and the card is refilled with the coupon denomination. Alternatively the user can also insert coins into the payphone to recharge the smart card. Dear readers, please share your vies and opinions about this innovative Smart Card based Public Payphone Services by BSNL via comments with us.